Before starting his own winery, Randy Dunn was already quite experienced with making wine in the Napa Valley. 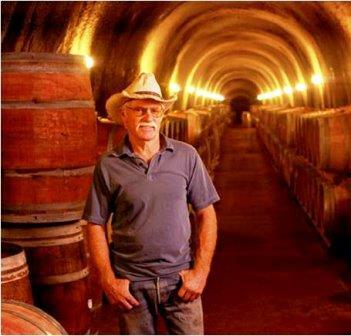 Dunn graduated with an Enology degree in 1975 from UC Davis. From there, Randy Dunn went on to craft several great wines for Caymus, Livingston, La Jota, Pahlmeyer, and Palmaz, to name a few estates. In 1978, Randy Dunn and Lori Dunn purchased his first vineyard, high up on Howell Mountain, well above the fog line. Since then, Randy Dunn added to his holdings with the purchase of the Park Muscatine Vineyard, which was previously used by Ridge Vineyards, for Zinfandel and Petit Sirah. However, as yo might guess, those vines have since been grafted to Cabernet Sauvignon, to help supplement his Napa Valley wine. Dunn Vineyards remains a true, family affair. While Randy Dunn is still in charge, the next generation of the Dunn family to manage the vineyards is already working with Randy Dunn. His son, Mike Dunn and his daughter Kristina Dunn are expected to eventually take of the property. Dunn Vineyards owns more than 200 acres in the Napa Valley region. Currently, 35 of those acres are cultivated with vines. Much of their remaining holdings are forest lands, packed with trees. The largest holding for Dunn Vineyards is the Trailer Vineyard, which as you might surmise, takes its name from an old trailer that was parked on the future vineyard. In fact, in the burgeoning years for Dunn Vineyards, the Dunn family lived in the trailer, before they built their house. Originally planted in 1972, these vines were to become the heart and soul of Dunn Vineyards, Howell Mountain Vineyards. In 2014 and 2015, much of the vineyard was replanted. Lake Vineyard is situated next to their home. Prior to being cultivated wiht vines, the land was used to produce hay for horses. The Harry Frank Vineyard is source of grapes used by Dunn Vineyards. While the Dunn family manage the vineyards, the vineyard is on a long term leasing arrangement, as they do not own the land. The Park Muscatine vineyard was purchased in 1990. Formally used by Ridge Vineyards, parts of the vineyard were replanted in 1991, 1993 and 1995. There is a small portion of this vineyard that is planted to old vine Petit Sirah. Those vines date back to the 1950’s. Dunn Vineyards actually produces a small amount of Petit Sirah, but the wine is not available commercially. The wine is reserved just for family and friends. On average, in most vintages, Dunn Vineyards produces between 4,500 to 5,000 cases of wine per year. Dunn Vineyards produces a no holds, barred, tannic, classic style of mountain, grown fruit that makes no apologies to anyone. Produced from 100% Cabernet Sauvignon, the wine takes decades to come around. It is not a wine made for instant gratification. Dunn Vineyards is also not a wine that works well with the high alcohol, fruit forward crowd. Far from it. In fact, Randy Dunn disdains high alcohol wines. Dunn wines are best served at 15.5 degrees Celsius, 60 degrees Fahrenheit. The cool, almost cellar temperature gives the wine more freshness and lift. Young vintages of their red wine can be decanted for 1-3 hours, depending on the character of the vintage. This allows the wine to soften and open its perfume. Older vintages might need very little decanting, just enough to remove the sediment. Dunn Vineyards is best served with all types of classic meat dishes, veal, pork, beef, lamb, duck, game, roast chicken, ribs, hamburgers, barbecue, roasted, braised, grilled dishes and stews. Dominus is also good with Asian dishes, hearty fish courses like tuna, salmon, mushrooms and pasta. Tannic, tight and demanding time, but it should be worth the wait, for all that ripe cassis, blackberry and lead pencil. Powerful, intense, and fresh with a crisp bite of mountain Cabernet Sauvignon in the endnote. Tightly wound and tannic, the wine is full bodied and on the bright, crisp, crunchy side, with an earthy, dark, red berry character. Sweet and tart, bright, crisp and crunchy dark red fruits with tannins that need time to develop. At least at the time of the tasting, the wine was more interesting on its earthy nose, than on the palate. With Howell Mountain fruit and Randy Dunn, time will tell. Full bodied, dense, powerful, masculine, structured and firm, this tannic, strict wine, with its layers of ripe, black mountain fruits, should reach maturity before I do. But we are both going to take a long time to develop. Incense, forest floor, blueberry and blackberry aromatics open top a big, tannic, polished, California Cabernet Sauvignon with a soft, polished red, cherry finish. This will mature faster than most of the previous vintages of Dunn, which seem to require decades to come around. Still tight, the wine needs time. Even with air, decanting and coaxing, meaning all three actions taking place at once, the wine was still tannic. If you like big, powerful, tannic, concentrated, dense wines, with fruit, structure and a masculine quality, this is going to fit the bill. The wine ends with a fresh, olive, cassis and peppery finish. Better on the earthy, stone, cherry and tobacco nose, than on the firm, cassis and fresh, ripe, red berry filled palate. This is a masculine, almost austere styled wine that some tasters will definitely like more than others. Earthy smoke, herbs, green leaf and pepper on the nose, the wine is stern, masculine and tannic with a tough bracing spine. The wine finished with length but without charm. Bright, chewy, tannic, OK, make that very tannic, this massive wine is not much fun to drink. Perhaps it just needs another 20 years. Well made, but not my style and I don’t have 20 more years to spare. Tight, tannic, green, hard and lacking in charm, I'm not sure where this California Cabernet wine is going. My only hope is, it gets there before I do as I'd prefer to drink something else. Tobacco, leaf, earth, ash, herb and red cherry notes make up the perfume. The wine is on the austere, tannic style range, ending with a dry, red berry and green olive finish. This leaner, low alcohol style of California Cabernet Sauvignon will please those tasters who feel the wines made prior to 1990 in the Gloden State were the golden age of California wine. For me, it was just not much fun to drink. With its tobacco, smoke, cherry, olive and cassis aromatics, it reminded me of a Bordeaux. Powerful, full bodied and with some tannin to resolve, this is a good example of classic, California Cabernet Sauvignon. On the bright side, this tasted much younger than expected. On the other side, while powerful, the wine was tart, with an olive accent to the fruit and a dusty, tannic, crisp, bright, cassis and cranberry finish. Other tasters liked this more than I did.